"Provide Timely and Comprehensive Livestock Marketing Resources Through Cooperation." The Livestock Marketing Information Center (LMIC) has provided economic analysis and market projections concerning the livestock industry, since 1955. Center resources contribute to economic education, support applied research projects, and policy evaluation. Center staff continuously update forecasts, projections and support materials related to market situation and outlook. The LMICunique cooperative effort between state university extension specialists, USDA economists, industry cooperators and Center staff. Through cooperative efforts and programs, duplication of effort is greatly reduced while enhancing the overall quality and quantity of livestock market information for producers and other decision makers. This cooperative effort has proven to be cost effective and successful. The American Agricultural Economics Association has recognized this effort for “Excellence in Extension Program Delivery.” And several widely recognized extension and research efforts have been supported by the LMIC. Center members represent one of three types of participating institutions: state Land Grant Universities, USDA agencies, and Associate organizations. Associate institutions are leading livestock industry organizations with missions that include supporting and conducting education and research. 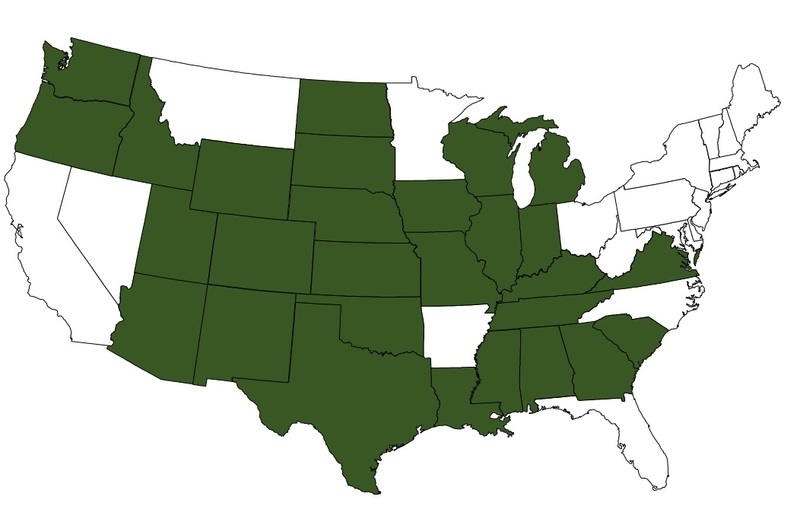 Currently, 28 state Extension services participate in the LMIC— Alabama, Arizona, Colorado, Georgia, Idaho, Illinois, Indiana, Iowa, Kansas, Kentucky, Louisiana, Michigan, Mississippi, Missouri, Nebraska, New Mexico, North Dakota, Oklahoma, Oregon, South Carolina, South Dakota, Tennessee, Texas, Utah, Virginia, Washington, Wisconsin, and Wyoming. Each of these Extension services is part of the state’s Land Grant University and appoints a member to the Center. USDA members of the LMIC represent one of eight Federal partner agencies. Those participating agencies are the Agricultural Marketing Service (AMS), Animal Plant Health Inspection Service (APHIS), Grain Inspection Packers and Stockyards Administration (GIPSA), Economic Research Service (ERS), Foreign Agriculture Service (FAS), Farm Credit Administration (FCA), National Agricultural Statistics Service (NASS), and World Agricultural Outlook Board (WAOB). There are currently thirteen participating associate institutions of the LMIC. Associate members represent the American Farm Bureau Federation, American Sheep Industry Association, CME-Group, CoBank, Consortium of Canadian Extension (Agriculture departments of Alberta, Manitoba and Saskatchewan), Daily Livestock Report, National Cattlemen’s Beef Association, National Pork Board, Noble Foundation Agricultural Division, Northwest Farm Credit Services, the Texas Cattle Feeders Association, and Texas Christian University. The newest partner, Agriculture Canada, joined in mid-2018. All members of the Center (state Land Grant Universities, USDA agencies, and Associate members) contribute annually to baseline funding. That baseline funding provides for staff salaries, etc. Non-members pay subscriptions and user fees for materials and services. Special projects beyond normal Center programs are supported by funded cooperative agreements, etc., with member organizations.